The INSPIRE Lab is a laboratory designed and equipped with all the relevant hardware and software tools to create a multidisciplinary design environment, providing effective communication, data interchange, and engineering tools, so that our team members (staff, Master students, and PhD candidates) can work concurrently in the design and developing of prototypes for space research and exploration. 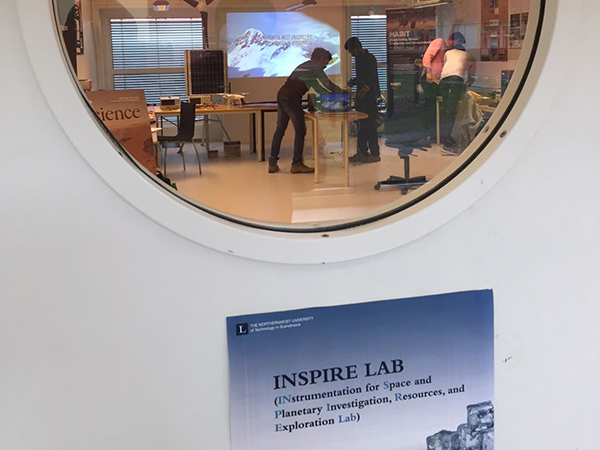 The INSPIRE Lab is a place where ideas relevant for atmospheric research and space come true! INSPIRE Lab is the threshold of the research carried out by the Group of Atmospheric Science.